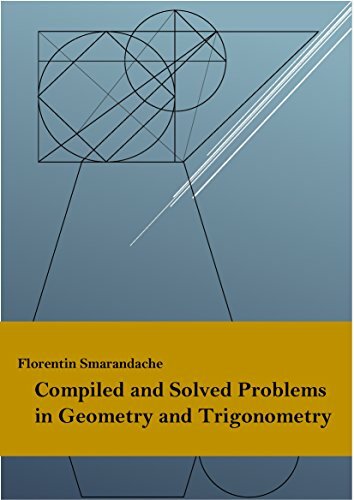 This book includes 255 problems of 2D and 3D Euclidean geometry plus trigonometry. The degree of difficulties of the problems is from easy and medium to hard. The solutions of the problems are at the end of each chapter. The book is especially a didactic material for the mathematical students and instructors. Contents: Coordinates; The Straight Line; The Circle; The Parabola; The Ellipse; The Hyperbola; Transformation Of Coordinates; The General Equation Of The Second Degree; Sections Of A Cone; Systems Of Conics; Tangents And Polars Of The Conic; etc. by John Casey, Euclid - Longmans, Green, and Co. This edition of the Elements of Euclid is intended to supply a want much felt by teachers at the present day - the production of a work which, while giving the original in all its integrity, would also contain the modern conceptions and developments.